Globally known for its luxury cognacs, Maison CAMUS is now launching specialty coffees, debuting with its signature blend and French Roast. Already found in Harrods (London), Takashimaya (Singapore), and the Ritz-Carlton (Shanghai), CAMUS Coffee focuses on the highest end of the quality scale, similarly to CAMUS Cognacs which are driven by qualities XO and a bove. Made from only the top 5% of all 100% High Grade Arabica beans, CAMUS Coffee is grown sustainably -- without pesticides -- at high altitudes, by small scale farmers in South and Central America. The high altitudes necessitate manual harvest, after which the coffees are blended and roasted completely by hand, with the Roast Master overseeing literally every bean used. The Signature Blend has rich aromas, powerful body, hints of hazelnut, and is perfect for any time of day; the darker roasted French Roast has a more intense flavor, and is an excellent finish to a fine meal. Both are available as whole beans or ground, and come in 8.8 oz. packages with a suggested retail price of $14.00. America’s drinks scene has never been better, but behind every beer, wine, coffee or cocktail is an inspired imbiber pushing things to even higher levels of deliciousness. Imbibe magazine features a number of these tastemakers in their inaugural “Imbibe 75” January/February 2013 issue. They wanted to know more about what makes them tick, so they asked a several of them to take five minutes to answer a few questions—here’s what they had to say. Reprinted with permission. James Freeman has quickly become a household name among coffee drinkers on both coasts, with five Blue Bottle Coffee locations in New York City, seven locations in the San Francisco Bay Area, and a new book, The Blue Bottle Craft of Coffee. The famously meticulous roaster first attracted the national spotlight in 2008, when he installed a $20,000 Japanese siphon bar in his Mint Plaza café in San Francisco. Already a Japanophile, having been dazzled by Tokyo as a touring classical clarinetist when he was a teen, Freeman became fascinated with Japan’s commitment to siphon and pour-over coffee brewing during a trip there in 2007. Freeman has helped popularize siphon and pour-over brewing in America, and with a cadre of new investors that joined Blue Bottle late last year, he’s just getting started. This year the company will begin rolling out two versions of its bottled cold-brew—one black and one made New Orleans–style, with milk, chicory and sugar. A new cookbook by Freeman’s wife and Blue Bottle pastry chef Caitlin is set to be published in April, and he plans to expand Blue Bottle’s Oakland roasting facility to include a restaurant. It’s one of several possibilities for expansion that Freeman’s exploring, and one particularly close to his heart—the Oakland resident began experimenting with roasting and opened his first coffee stand there a decade ago. “I figure we should look in our own backyard,” he says. Theme song: Tie between “Stockholm Sweetnin'” by Quincy Jones (as performed by Tadd Dameron/Clifford Brown) and J.S. Bach’s Well-Tempered Clavier Book 1: C Major Prelude (as performed by Glenn Gould). Guilty pleasure: Barbecue potato chips washed down with Vinho Verde. Biggest inspiration: Thepeople I work with every day. Biggest challenge: Studying for my Japanese lessons. Proudest accomplishment: Getting my son to school on time in the morning. Desert-island drink: Just a pour-over. It's perfect—anytime, anywhere. This winter, Numi Organic Tea, long known for innovation in the world of tea, is proud to announce an exciting new taste sensation: Savory Teas. Real organic vegetables, wild herbs, decaf tea and aromatic spices are combined in the new collection of Numi Savory Teas, created to provide a unique and original taste experience for tea lovers. Inspired by recipes from around the world, these veggie-spice-tea blends are rich in flavor, yet light enough to enjoy any time of day. Each exciting flavor is an adventure in taste: not quite a soup, but more than a tea. New flavors, never before offered in tea, include Tomato Mint, Carrot Curry, Fennel Spice, Spinach Chive, Beet Cabbage and Broccoli Cilantro. Delicious and satisfying, Numi’s Savory Teas have five calories or fewer, are Certified Organic and Verified NON-GMO. Since its inception, Numi has been known for pioneering new tastes and styles of tea in the United States. Now, once again, Numi offers blends that represent an entirely new way of thinking about and enjoying tea. 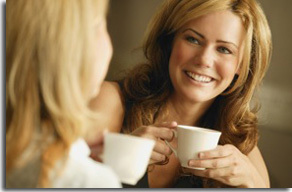 Numi’s Savory Teas invite consumers to get cozy and warm up to the savory sensations. They can be a satisfying, low-calorie snack alternative, a great complement to a light lunch, a delicious brew for cooking rice or noodles, a comforting cup when a cold or flu strikes, a pick-me-up on a hike or camping trip, an easy-to-prepare mood booster at work or on the road, or a perfect pairing to cheese and crackers. Whatever the occasion, Numi invites tea lovers to delight the palate and enjoy a comforting cup of garden goodness, one savory sip at a time! This bright Mediterranean infusion is reminiscent of the sweet savory scent of stuffed grape leaves (dolmas). The combination of ripe tomatoes, mint leaves, decaf black tea, a touch of cinnamon and lemon peel makes for a zesty, mouthwatering cup. Layers of steamed spinach greens give way to the mouthwatering fullness of this savory brew. The citrus notes of Numi’s Dry Desert Lime tickle the roof of your mouth as coriander teases your taste buds. Dill, chive and decaf green tea are the perfect finish to this well-rounded, yet complex, blend. Coaxed by the soothing scents of freshly cut fennel, this crisp concoction will transport you to the enchanting European countryside. The soaring flavors of sweet licorice envelop the earthy fullness of celery root while slivers of orange peel and decaf green tea delight the palate. Be transported to the heart of India with the rich exotic flavors of curry, turmeric and ginger. Kissed by sweet carrots and bright cilantro, the earthy, vegetal and piquant notes are marvelously woven together into this full-bodied blend. As pungent aromas lure you into this abundant garden, the hearty flavors of broccoli, celery leaves and cilantro capture your palate. Turmeric and decaf green tea deliver a peppery roundness. Come home and relax to a cup of Broccoli Cilantro’s sweet lingering taste. A bright crimson hue welcomes you into delightful scents of clove. This smooth buttery blend is rooted with beets and cabbage and delicately spiced with mustard seed and coriander. The finish is accented by sweet notes of apple and decaf black tea. A cornucopia of vegetables herbs and spices await you, ready to nourish and warm you from the inside. This Garden Sampler holds a variety of our delicious and satisfying Savory Teas. The box contains two bags of each of the new flavors: Tomato Mint, Carrot Curry, Fennel Spice, Spinach Chive, Beet Cabbage and Broccoli Cilantro. During the eighth annual contest hosted by Long Island Press, Roast Coffee & Tea Trading Company (Patchogue, NY) has won the prestigious title of Best of Long Island for 2013! The two year old coffee company has claimed the title for a second year in a row in the categories of "Best Cup of Coffee" and "Best Coffee House". 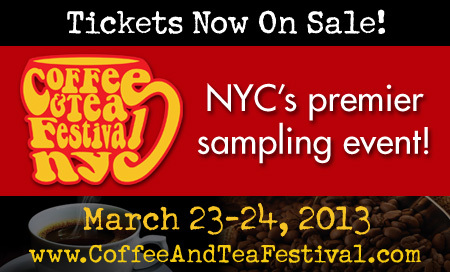 For those readers who will be attending the 8th Annual Coffee And Tea Festival NYC on March 23 & March 24, make sure you stop by their booth to congratulate them and sample their incredible coffees and teas. Still health-conscious since declaring your resolutions for the new year? 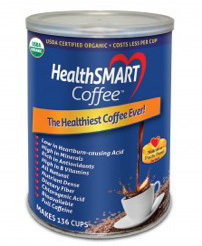 Introducing the most significant innovation in coffee products since decaf—HealthSMART Coffee. This coffee is designed for your overall good health as well as your taste buds. Rich in nutrients, antioxidants, and none of those pesky nutraceuticals (nutritional-pharmaceuticals) found in other brands, HealthSMART is changing the dynamics of the health benefits found in coffee one cup at a time. Traditionally coffee is roasted at an extreme high heat which in the process destroys pathogens and bacteria while simultaneously ruining the nutritional value found naturally in coffee beans. Not HealthSMART Coffee! They use a roasting technique called, TechnoROASTING, where the beans are roasted using low heat, three times longer than traditional roasters. According to the company, this practice helps HealthSMART Coffee deliver more nutrients than any cocoa, red wine, or tea. When coffee beans are roasted in this fashion all bitterness is eliminated, leaving a cup of coffee that has no need for sweeteners or creamers thus completely reducing fats, calories and cholesterol from your morning cup of coffee. Without the bitterness, sufferers of heart burn can enjoy a cup of joe without being negatively affected by the acidity found in common coffee brands. Although the roasting process takes away the bitterness of the beans, all of the beneficial minerals, B-vitamins, antioxidants, dietary fiber, and micro-nutrients remain to help keep HealthSMART Coffee drinkers trim, healthy, and feeling great. HealthSMART Coffee is truly all-natural and unadulterated USDA Organic and made using only fair trade 100 % Arabic-grade coffee beans. RUNA Tea, the Brooklyn based beverage company that makes tea using the native Amazonian tree l eaf, guayusa (pronounced gwhy-you-sa) just announced the launch of two flavors of unsweetened bottled tea – Guava and Lime. While all of their teas have low natural sugar, this is the first completely unsweetened tea that the four-­-year-­-old company has produced. Guayusa tea offers a clear, focused energy by balancing as much caffeine as one cup of coffee with twice the antioxidants of green tea. Guayusa is revered in the Amazon for a wide variety of health benefits including immune support, digestive aid, and appetite suppressant. A super leaf, guayusa is traditionally used for focus, mental acuity, memory and overall brain function. This article is perfectly timed as we prepare to celebrate the colorful season of Mardi Gras….Here’s a coffee as rich as flavorful as the area where it is roasted…New Orleans. The history of coffee in Louisiana is rich and strong. Coffee first arrived in 1720 when French explorers introduced it to the city. Today, one third of all the coffee in North America lands first on the docks of the Crescent City. The New Orleans Roast coffee experts travel the globe to learn as much as they can about the quality of coffee they buy. Only a small percentage of the world’s coffee bean crop is deemed exceptional enough for use by New Orleans Roast. They select only 100% Arabica coffee beans plucked at the peak of ripeness. The New Orleans Roast team, led by Roastmaster Felton Jones, encompasses over 70 years of combined experience in coffee roasting. They adhere closely to their tradition of quality, freshness and character only found in New Orleans—coffee slow roasted in small batches creating a specialty blend of gourmet coffee that’s as unique and flavorful as the city it calls home. Medium Roast: The roasting process allows true coffee flavors and characteristics to come out. This means no bitter aftertaste. Dark Roast: Dark, bold roast, yet smooth and full bodied with no bitter aftertaste. Decaffeinated: 99.95% decaffeinated, derived through a process that keeps the beans chemical free. Coffee & Chicory: New Orleans Roast Coffee and Chicory blend enables you to enjoy our Dark Roasted coffee with a hint of Leroux French Chicory. Espresso: New Orleans Roast espresso is a Roast Master’s Blend of fine coffees yielding a deep bold chocolate flavor with a smooth and pleasant aftertaste. Flavored Coffees: Our flavored coffees are created using a mild coffee allowing for the essence of the actual flavor to be the focal point. Medium body, mild acidity, no bitter aftertaste. Don’t miss this opportunity to showcase your product/service.